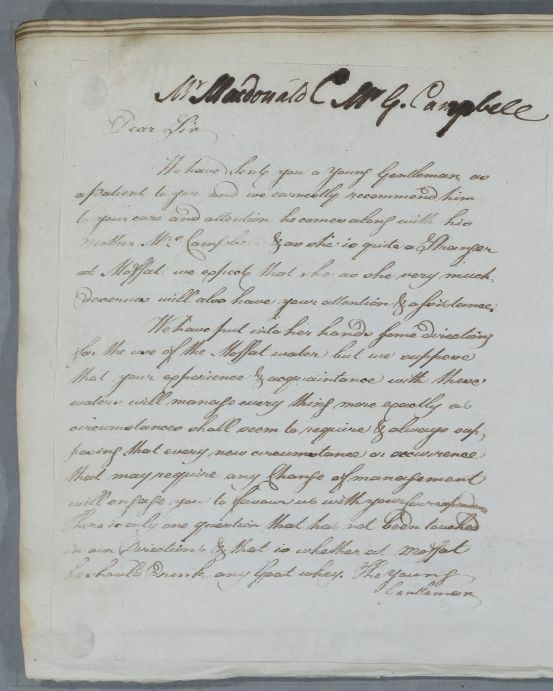 Letter by Cullen introducing a young man, Mr Campbell. 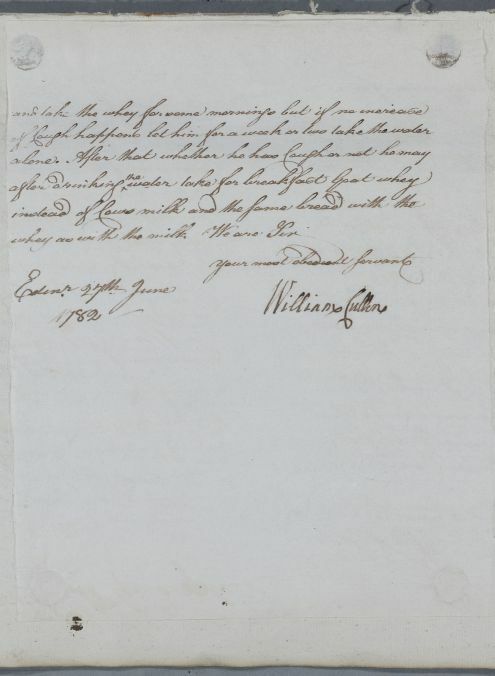 to MacDonald as a patient. Campbell is going to Moffat with his mother, to seek a cure for debility after influenza, and a suppuration on his thigh. 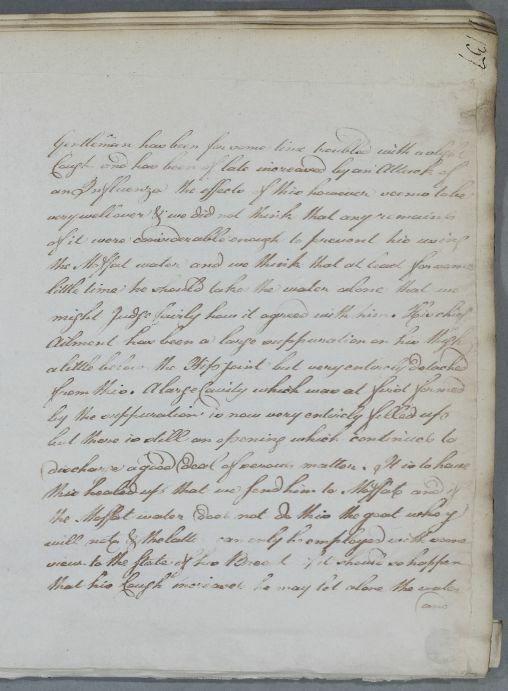 Summary Letter by Cullen introducing a young man, Mr Campbell. to MacDonald as a patient. Campbell is going to Moffat with his mother, to seek a cure for debility after influenza, and a suppuration on his thigh. deserves will also have your attention & assistance.